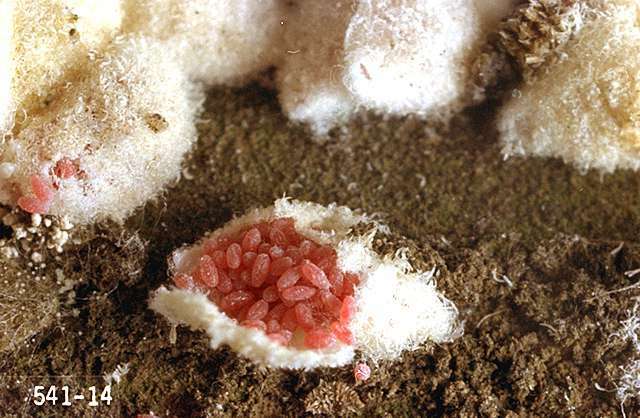 Pest description and damage This scale superficially resembles mealybugs in appearance. 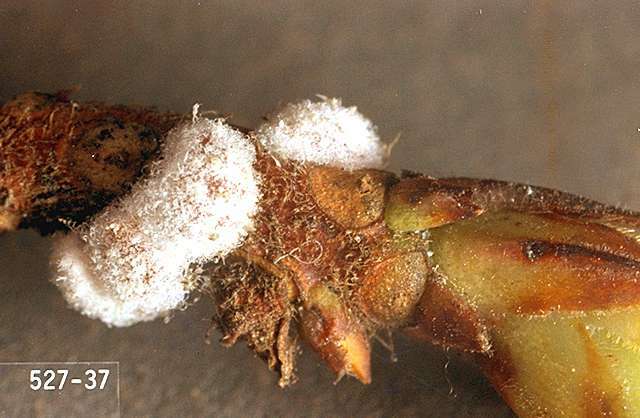 Mature female scale are about 0.125 inch long and appear like white cottony sacs, often located on twigs and stems of azalea, especially in branch axils. Eggs, crawlers and the female scale under the wax are red.